Everybody can tweet, but nobody knows what it actually means to do the job until you've sat behind the desk. Obama went on to more directly reference Trump, saying, "I know the other guy talks about making America great again," and adding, "This is not a reality show. This is not entertainment," in reference to Trump's lead role in The Apprentice. Obama never said Trump's name during the speech, but suggested that his economic positions aren't even in line with his fellow Republicans. Trump isn't known for providing too much detail about his policy proposals. He generally has a we'll-figure-it-out-when-we-get-there / we'll-be-taking-a-look approach. And when he does give details, the wonks who analyze them tend to conclude that they are unrealistic. For example, his plan to salvage Social Security relies largely on economic growth, but the amount that would be required to even save for an additional 30 years is unrealistic, according to economists Richard Johnson and Karen Smith. And Trump's proposals to deport all undocumented immigrants and to build a wall between the United States and Mexico — two of his key positions — are roundly rejected by many on both the right and left as unrealistic. 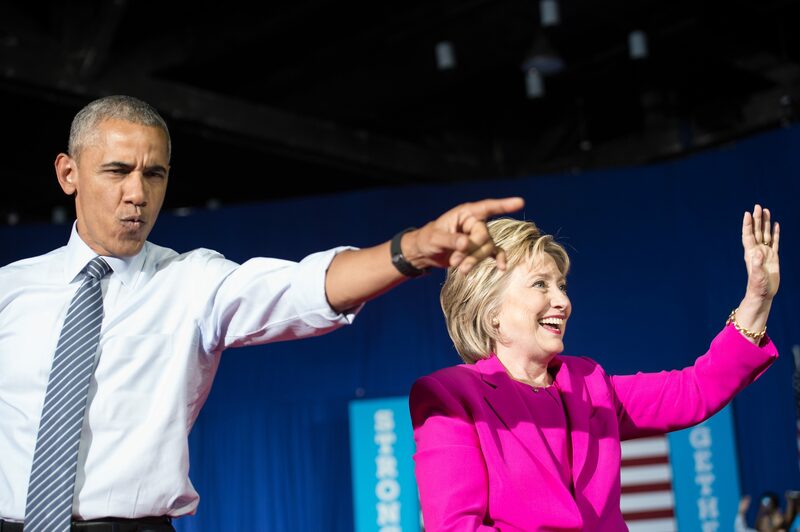 At Clinton's rally, Obama summed up the general vacuity of Trump's proposals and his campaign. Being the president of tweeting doesn't make one fit to be the president of the United States.